Privacy Window Film - Privacy rating:★★★☆☆（Semi-private film, available for most cases even for bathroom). 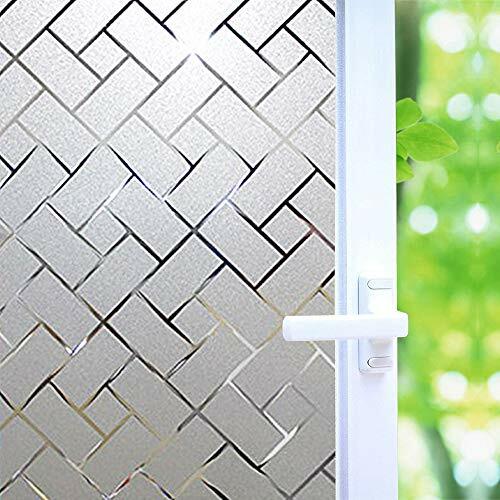 Frosted latticed patten, provides privacy and allow light in. Size - 35.5*118.2 inch (90*300cm) per roll.